After submitting work to your instructor, they will complete an assessment. 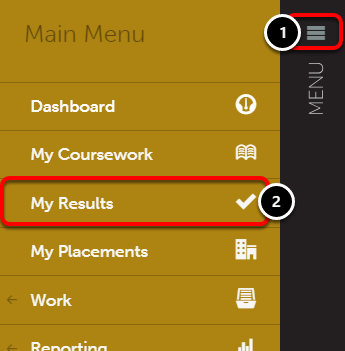 The results of this assessment will be made available to you in the 'My Results' section of your Chalk & Wire account, where you'll be able to view the work that you have submitted, a summary of the assessment, as well as a detailed report of the assessment. View Details: This will redirect you to a page displaying the same information in View Summary along with uploaded annotated documents, if applicable. Use this option if you'd like to print the assessment details. Pending: A "Pending" assessment indicates that you have submitted your work to your Assessor, but it has not yet been assessed. H: A "Held" assessment indicates that your submission has been assessed, but the score has been held. You will see the score if/when your Assessor or Administrator releases it. Incomplete: An "Incomplete" assessment indicates that your Assessor started assessing your submission and saved it without finishing the assessment. 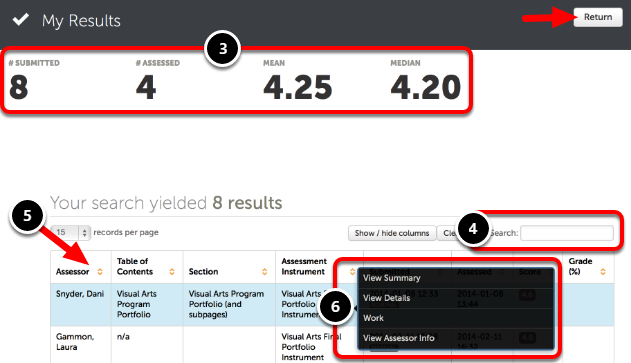 You will see the score once your Assessor has re-accessed the incomplete assessment to complete it. S: A blue "S" in the "Assessment Instrument" column indicates that this assessment was generated when you made another submission. In other words, one submission resulted in more than one assessment. Resubmission Requested: A "Resubmission Requested" assessment indicates that your Assessor assessed your submission but felt that it was not complete and/or satisfactory. They have requested that you make adjustments and resubmit. 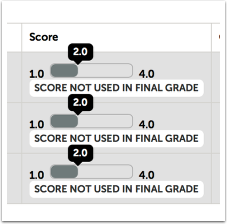 When you see the message, "Score not used in Final Grade" appear below a criterion's score, this means that the criterion is set to "Outcomes-Only". Outcomes-Only criteria allow your assessor to evaluate skills and/or other items as part of the overall evaluation, but without including this score in the final grade for the assignment. If your school has decided to use Outcomes-Only criteria and you have questions about how they are being used or about the score you received, please contact your Instructor or the local Chalk & Wire Administrator at your school for further clarification.